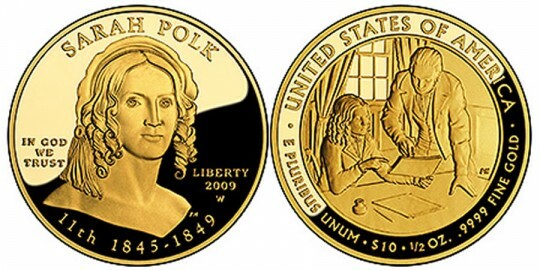 The Sarah Polk First Spouse Gold Proof and Uncirculated Coins will be officially released from the US Mint starting at Noon (Eastern) on Thursday September 3, 2009. These coins continue the series meant to celebrate the former first ladies of the United States. Unfortunately, this comes a day after the Mint raised prices on gold coins based on their precious metals pricing structure. The London Fix on gold went above $950 which triggered the price change. Previous to this, the price has remained the same on the available gold coins since June 17th. The Proof First Spouse coins will sell for $654 while the uncirculated version will be $641. These prices will remain the same, at least until next week when the Mint will re-evaluate based on the price of gold then. Up to 40,000 of these Polk coins will be produced, with that number being split between the proof and uncirculated editions. The exact ratio will be dependant upon customer demand. Sarah was only first lady for 4 years, as her husband only served one term. This did not stop them from making an impact on America, however. For more information the coins and Sarah, click on the image above. 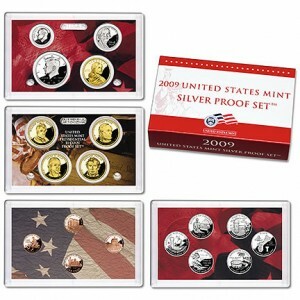 The US Mint has announced that it will begin shipping its 2009 Fall Gift Catalog on August 27th, 2009. Included in the catalog are some very collectible coins that have a deeply embedded US history. "We are proud, as always, to offer the public a wide array of products that resonate with our Nation's rich history," states US Mint Director Ed Moy. The US Mint has updated their product release schedule for the month of August. While this schedule is not comprehensive and is subject to change, it does give collectors a firmer idea of product availability. As it stands right now, six unique releases will be offered in August. Out of these, four of them are part of the First Spouse Coin program. 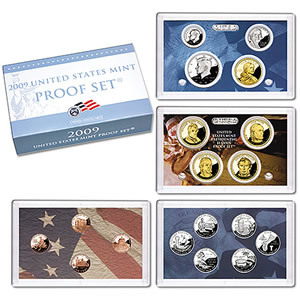 The United States Mint 2009 Silver Proof Set™ has launched, released by the Mint on Friday, July 17. 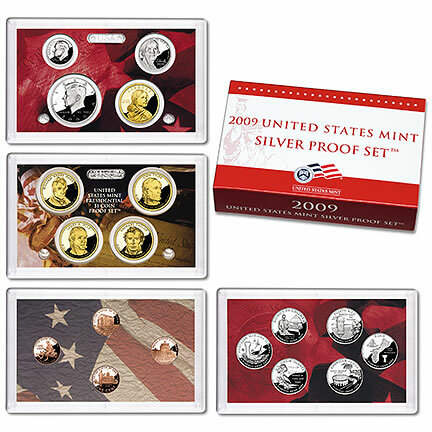 The set contains collector versions of each circulating coin for 2009 at an issue price of $52.95. Like the annual 2009 Proof Set released in June, each coin is struck in proof condition, which the Mint describes as "extraordinarily brilliant, with sharp relief and a mirror-like background." The US Mint has released the latest coin sales through to June. The tables below show several of the popular coins and sets with their total performance results as of July 5. The tallies for US Mint coin sales up through May 2009 are in, and there are some interesting figures to report. Several of the bullion and collector coins were propped up by the late run of gold prices in May, so lets start with a few number there. Gold eagles had their 5th best May since the series began in 1986. The month was also marked as the first in many where the US Mint's authorized dealers failed to order their entire allotted supply. As a result, at times the Mint had remaining inventory on hand. The 2009 Ultra High Relief Gold Coin moved ahead nicely in the last week of May with sales about double their normal level. On Monday, June 1, the US Mint launches the annual proof set. This year's set includes a total of 18 coins for $26.95, plus $4.95 for shipping and handling. The price is the most expensive ever for a new issue, but included is more coins than ever -- compared to the 2008 proof set, three more Lincoln cents and one additional quarter.